When you've won the US Open and Wimbledon, not to mention, been a year end No. 1 twice, you're obviously a player who takes a lot of pride in your tennis. To channel Lleyton Hewitt, amplify that pride a few fold and you might approximate how Hewitt feels about the sport. When that's how you feel, a second round loss at Wimbledon isn't on the agenda. Sometimes though, you don't set your own agenda. Yeah, he came in unseeded. At World No. 130, he's barely even the top ranked Australian anymore. Yet, when you saw him leading Sweden's Robin Soderling two sets to love you barely blinked an eye. 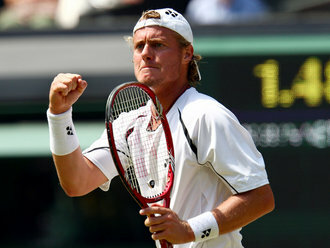 This is Lleyton Hewitt, a dangerous, indefatigable warrior. Yet, this year he dropped a 5 setter to David Nalbandian at the Australian Open; was beaten by a rebuilding Juan Martin del Potro in San Jose; fell to Andy Roddick after winning the first set in Memphis and fell in straight sets to Yen-Hsun Lu at Indian Wells. We didn't blink an eye when he led Soderling by two sets because we didn't believe anymore. Hewitt has gone from a contender in every match he plays to well, not. He shows flashes of brilliance and then fades quickly leaving you to reflect on his legend. Given his hip injuries and the way this year has gone thus far, I wouldn't be surprised if this is Hewitt's last run around the tour. When he fell 6-4 in the fifth set, my reaction was a knowing shrug. I'm predicting Australia 2012 to be his last stand. 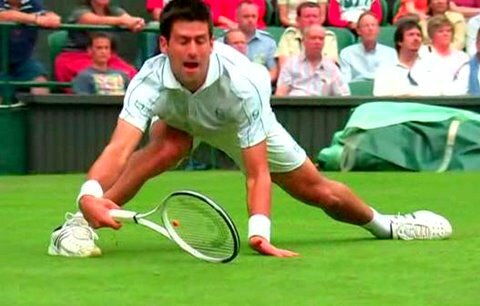 Novak Djokovic is rolling. We mentioned this in the men's preview, but Djokovic is looking unstoppable yet again. Yes, Roger Federer and Rafael Nadal have accounted for the last eight championship trophies here, but Djokovic is following up his sterling spring with strong form here. Today, Nole the Great scored a devastating win over South Africa's big-serving Kevin Anderson. Anderson was supposed to be an opponent who could give Djokovic trouble. No one would peg Anderson to beat the World No. 2, but no one would be surprised if he extended Djokovic to a tiebreak, maybe stole a tight set...Djokovic won 6-3, 6-4, 6-2. Good night. Next. There has been copious controversy surrounding Serena Williams' being scheduled on Court 2 for her second round match. 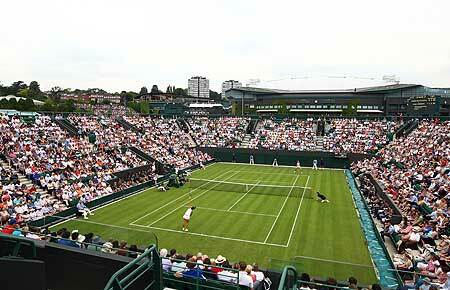 To be fair, The All-England Club regularly rotates its stars between Centre Court and Court 1, the show courts. OK, but Williams is a two time defending champion. Given her history here and her harrowing comeback this year, the slot was widely perceived as a horrible snub. Much like when sister Venus was slotted there a day earlier. Typically, officials schedule only three matches on each show court. Two men's and one women's. Which of the women's matchups got the coveted Centre Court slot? Sabine Lisicki's nailbiter over French Open champ Na Li Those ladies' play would later justify the court assignment, but their pedigree certainly did not. Court 1 was scheduled to pit Maria Sharapova vs. Brit Heather Watson With only two show court slots available for the women, Serena was shuffled off to Court 2. Today the powers that be could say that they simply followed the seedings, No. 3 Li got Centre; No. 5 Sharapova, Court 1; No. 7 Serena, Court 2. However, tomorrow, 4th seed Victoria Azarenka will play on Centre, Sharapova will play her delayed match on Court 1, followed by Venus Williams, while World No. 1 Caroline Wozniacki will be sent to Court 2. In other words, court assignments are subjective. So why Serena on Court 2? Seriously, how do you look a two-time defending (and four-time) champion in the eye and ask her to play on the third court? 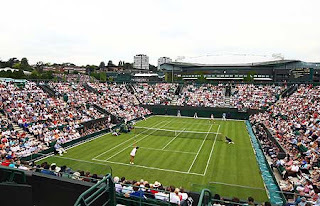 I believe in giving grounds pass holders significant value, especially at Wimbledon, where show court tickets are near impossible to come by. But Serena Williams on Court 2, this year? Nah, I would've given her Hewitt's spot on Centre. Turns out the fans would've gotten a former champion and a helluva show. The seeding committee did a fair job, but the scheduling team has work to do. Nobody puts Serena in a corner. There are various replica dior. You will find there's style and that is quite renowned along with named "racing driver's choice". Of course, it does not take breitling replica sale. Your Daytona will be the brand associated with an initial fake rolex for sale sort of enjoy. Often otherwise known as the "Oyster Specialized Cosmograph", your Daytona features received your nickname involving fake hublot watches alternative. It turned out manufactured to evaluate passed occasion and estimate regular rate in a very ethnic background. Your cartier replica sale Daytona Imitation must be pre-loaded with a new pass used, instant along with hours "totalizators" initialized by simply force links, and also a managed to graduate bezel that will does as being a tachometer.